I will teach you every hidden secret of experts in this post seo tips and tricks 2016 which no one has told you till now because no one specialist want to create competitors for him self by disclosing own tricks. But after after keeping all these non sense thoughts in side line i am going to guide most effective top seo tricks to achieve 1st page ranking in very few days after creating a blog post. On every second day i get emails from blogger friend for knowing tips on how you get ranked in very few days and some times in less then 30 days after writing a blog post. To help these kind of blogger friends i am describing most advanced techniques for defeating my competitors in a little bit time period. You can read top seo tips and tricks below.. It is officially stated by by top search engine sites that the domain authority shows the exact quality of website and same like page authority for ranking of individual pages also. Not only me but world famous internet marketing expert Neil patel also stated the value of a page and domain authority for achieving our desired position. I am also going to guide readers of the post on how to increase domain authority easily by applying my tips in upcoming post. If you are targeting any keyword for higher rank achievement for your website pages then first search that particular keyword in Google then you will find the name of top 10 websites which are on 1st page. Just check them in back link checker tools one by one and see which kind of anchor text variation they are using. You can create back links for your sites from those websites in which your competitor has posted their website URL’s. It really excellent tips to have better back links value then your competitor. In this way same quality link juice you can also have to your web pages. There are few link auditing tools can be useful for your work. I use all 3 because every one has different opportunity to assist link builders in different way. Here the meaning of faster word is related to loading time of web pages, most of the search engines specially Google is giving so much importance to those websites who has loading time less than 3 seconds and if they have less than 1.5 seconds then no would could be better than this. Google is giving good preference to the sites which are really perfect for good users experience on their site and speed of web pages also one of the important factor for making user experience better. It is experts tips or tricks that you can go for the some specialized web hosting services like cloud hosting and VPS servers to improve your website’s efficiency. In my this post seo tips and tricks i am giving so much importance of this point because today is time changing of the internet use. Because of busy life and everywhere availability of the internet peoples are like to visits websites from anywhere in the world and using more smaller devices like mobiles, smartphones and tablets etc. So you must check that is your site’s design is responsive to run on these kind of devices ? If not, then tell your designer to do it or if you are using WordPress kind of platforms then you can buy any good premium responsive themes. Social popularity metrics are also became major factor for search engine optimization, If you want to see the magic of it then just ask any popular blogger to Tweet about your new blog post and you will see that by only 1 tweet you will index faster and rank better than other. Now the question is how to become authority person social media sites like Twitter ? Answer – Try to increase more niche related followers who can re-tweet your posts. Apply most advance tips / tricks to get more twitter followers after reading my post and share useful tricks or tips to guide them regularly. You know friends.. all your work and smart seo tricks can be effect less if you haven’t done your basic on page seo activities till now. Like Keywords in Meta tags, Keywords in H tags and also in image alt tag etc. You can apply basic seo tips and tricks also like maintaining keyword density and proper use of it time to time in content but remember to avoid stuffing. Try to focus writing on keywords which has local search term in it, in this way you will face less competition. Posting ads in area specific classified websites will surely help you in improving local ranking also. If you want to get traffic from USA then you can use high traffic USA classified sites for ad posting purpose. Submit your web pages in Google maps and optimise your website by filling all necessary fields by completing them at the submission time. In the content management systems like WordPress you have to be too technical if you want to do any thing manually but fortunately we can see number of useful and best seo plugins to help us from basic to high level search engine optimization to achieve highest score. Yoast seo is highly admired plugin for the bloggers who use WordPress. After so many changes in algorithms now its time gone for old link building techniques and this is the time to use smarter ways. Content marketing is the key work of smarter ways. Now what to do for content marketing ? Apply these 3 methods. A – Create video tutorials and submit it in top video portals like – Youtube, Vimeo, Dailymotion and some more. B – Create Images for free use by the needy peoples and ask for link credit for your work. c – Same method apply for creation of large tutorials in the form of info graphics and submit it to top submission sites like Visual.ly and many more. Original content always perform better for ranking at top position and you can use online plagiarism checker tools free for checking the quality and originality of your article. I hope after reading all the practical information in this post seo tips and tricks 2016, you have understood the quality of information we are sharing here in this blog. So i think for getting more useful advice and recommendation on time for search tricks or tips you must subscribe to the blog and share this blog post also. If you want to share own seo tricks or tips then can share in comments below. I need to get back to the SEO basics. I love sorting with this stuff on my personal site, and it’s a lot of fun trying to outrank the competition. I’ve gotten away from it with my “blogging blog”, and need to get more focused on it again. Awesome post indeed! Well you’ve shared really informative tips which I never read anywhere else. Will surely make a note of your tips. Domain authority and a clean link building would give a better edge compared to peer blog in 2015. I agree with auditing backlinks. It can definitely help. I am personally using Ahrefs to gather competitor backlinks. Great article. 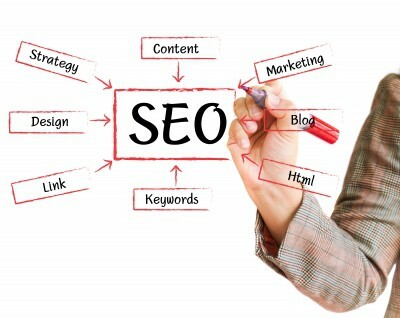 All the SEO tips and tricks are wonderful and helpful for us. The first two point are more powerful than others. Thanks for SEO tips , I am new to blogging so is learning new thing daily. I have question that how much backlinks is important do it help in ranking. It depends on the competition.. I would agree Domain authority and a clean link building would give a better result ..
Nice Points I am going to share one important tip here..the Headline of your blog post is extremely important. You want to make sure you express the generally theme of your blog in just one sentence. You want to be fascinating without being silly or giving too much away. Really glad to read this article, All the points which you have mentioned are very useful for me for SEO. Thank you for sharing with us. I think this information will help me to improve the SEO of my blog. Simple and to the point. SEO = Quality content, competitive & realistic KW or key phrases, optimize your links and avoid spamming – simply the key to getting good rankings. Keeping the content fresh is really key. Also remembering to gain inbound links for specific pages and articles can really help. Thankfulness to my fathr who informed me about this web site, this blog is genuinely remarkable.